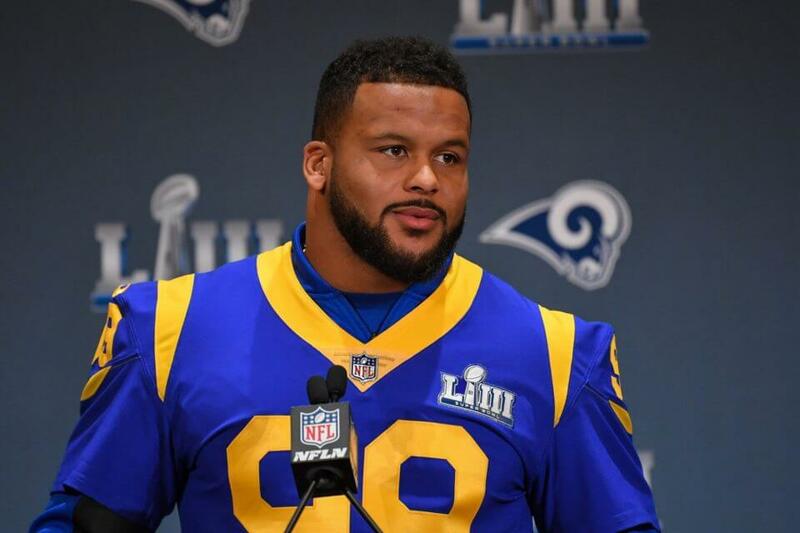 It was announced on Friday morning that Los Angeles Rams star defensive tackle Aaron Donald has made a seven-figure financial commitment to his alma mater, the University of Pittsburgh. According to the press release, the Pitt Football Championship Fund, which serves the program in such key areas as facility improvement, recruiting, technology and student-athlete development in what the donation is going towards. Donald (27) is the youngest seven-figure donor in the history of Pitt and it also is the largest donation ever by a Pitt football letterman to the program. As a part of the donation, the ground floor of Pitt’s Duratz Athletic Complex practice facility will be renamed the “Aaron Donald Football Performance Center.” This area includes the locker room, athletic training room and weight room, where Donald still trains during the NFL offseason. Donald signed a six-year, $135 million extension with the Rams before the 2018 season, so it is good to see that he is using some of that money to give back to something that means a lot to him. The reigning two-time NFL Defensive Player of the Year has proved throughout the course of his career that he is not only the best and most-feared football player in the sport but also one of the nicest and most-genuine off the field as well.